Links to information about the National Flood Insurance Program for residences and businesses. Also links to sites about flooding, flood risks and flood preparation and recovery. Pre-Disaster Mitigation (PDM) — PDM provides funds on an annual basis for hazard mitigation planning and the implementation of mitigation projects prior to a disaster. The goal of the PDM program is to reduce overall risk to the population and structures, while at the same time, also reducing reliance on Federal funding from actual disaster declarations. Hazard Mitigation Grant Program (HMGP) — HMGP assists in implementing long-term hazard mitigation measures following Presidential disaster declarations. Funding is available to implement projects in accordance with state, tribal, and local priorities. Flood Mitigation Assistance (FMA) — FMA provides funds on an annual basis so that measures can be taken to reduce or eliminate risk of flood damage to buildings insured under the National Flood Insurance Program (NFIP). 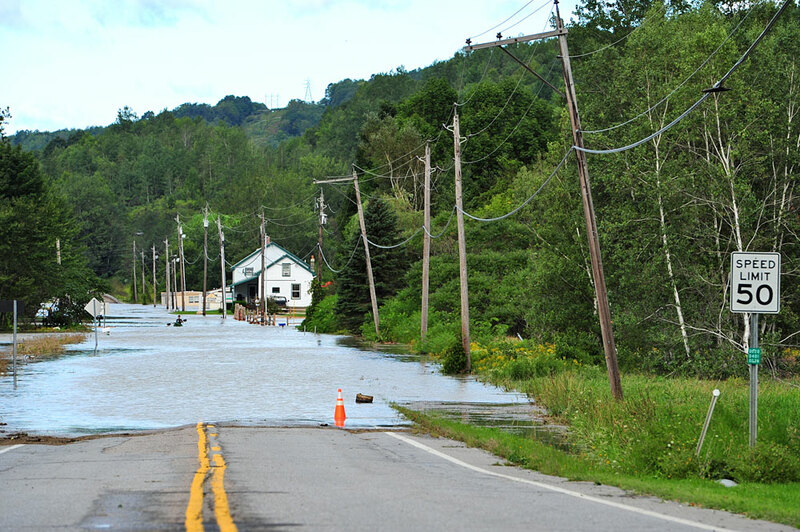 Repetitive Flood Claims (RFC) — RFC provides funds on an annual basis to reduce the risk of flood damage to individual properties insured under the NFIP that have had one or more claim payments for flood damages. RFC provides up to 100% Federal funding for projects in communities that meet the reduced capacity requirements. Severe Repetitive Loss (SRL) — SRL provides funds on an annual basis to reduce the risk of flood damage to residential structures insured under the NFIP that are qualified as severe repetitive loss structures. SRL provides up to 90% Federal funding for eligible projects. Fluvial geomorphology: what does this mean? see our policy recommendation report, Supporting New England Communities to Become River-Smart: Policies and programs that can Help New England Towns Thrive Despite River Floods.